Lately I’ve found it difficult to communicate that I feel like I’m currently incompetent in my job. No one likes admitting a struggle…especially when (in my mind) so many people would be like, “What are you talking about?! You’re a stay-at-home-mom! How can you be incompetent at staying home? !” Well, I have a 7-year-old who is at school during the day, but I’m home with a 2-year-old and a 2-month-old and I feel like I’m drowning. My entire adult life has been devoted to working with children and learning about children and playing with children and helping and laughing and guiding children. So in this time that I’m home with my own two children, why is it that I feel like I’m not enough? Why is it that I feel like I’m unable to provide the consistency, structure, flexibility, and grace that I’d be providing in a classroom? At small group a few weeks ago, we read 1 Corinthians 12:12-26– And, while I’m sure the author did not intend for these words to apply to household roles, I couldn’t help but feel a wave of comfort as I allowed this scripture to sink in. 21 The eye cannot say to the hand, “I don’t need you!” And the head cannot say to the feet, “I don’t need you!” 22 On the contrary, those parts of the body that seem to be weaker are indispensable, 23 and the parts that we think are less honorable we treat with special honor. And the parts that are unpresentable are treated with special modesty, 24 while our presentable parts need no special treatment. But God has put the body together, giving greater honor to the parts that lacked it,25 so that there should be no division in the body, but that its parts should have equal concern for each other. 26 If one part suffers, every part suffers with it; if one part is honored, every part rejoices with it. –But, after reading this, I’m trying to give myself more grace and to give God more credit. I have always felt equipped to work with children…the difference now is that I am working with the same children every minute of every hour of every day for years– and it often feels like there are no true breaks. There’s no clocking out…and my role rarely changes. I am “Mom.” And even though “Mom” wears so many hats, the role is still “Mom.” Everyone in our home has a role…everyone has a job… Is my job any less important because I’m “not earning a paycheck?” Is my husband’s job any more important because he does? Am I failing miserably at my job because I’m unable to mark every single task off my to do list every day?…or is my husband failing miserably because he’s continuing to wear clean clothes to work and therefore producing laundry? …Just as my life would be significantly impacted if my husband suddenly quit his job, his life would be significantly impacted if I suddenly quit mine. Even when I think I’m getting nothing accomplished, I’m drowning in baby puke, and I’m a lousy excuse as a stay-at-home-mom…I need to remember that: “As it is, there are many parts, but one body.” No single person makes our family the unit that it is– it’s a collective effort from each part to produce one body from our house and transform it into our home. Isn’t it amazing how a piece of literature from thousands of years ago has the ability to be this breathable document that can provide so much peace and clarity to present day circumstances?–and it might not provide that to anyone else…but, for me, it was exactly what I needed to hear. Has there been an instance in which you’ve stumbled upon the perfect scripture to shine light on a current or past dilemma in your own life? We would love to hear your stories! Feel free to comment below or join our Facebook group of the same name: Birds of a Feather. Thanks for flocking with us! Does anyone really know what their life purpose is? Is it ever a stagnant purpose? I feel like I’ve always been hunting for my purpose, trying to find what fits, what makes a difference in the world. And today, I think I’ve come to the conclusion that our purpose changes. God uses us where he needs us when he needs us. There are seasons of our life where our purpose may be one thing and another season where that totally shifts. I started a bible study at my church a few weeks ago and today’s meeting is what helped me come to the realization that our purpose can shift. At the beginning of the study I even wrote in one of the margins of the workbook, “where do I fit in the bigger picture?” And today after our video lecture I got together in a small group with 2 other ladies and they helped me reach the conclusion that right now I am fulfilling my life’s purpose. 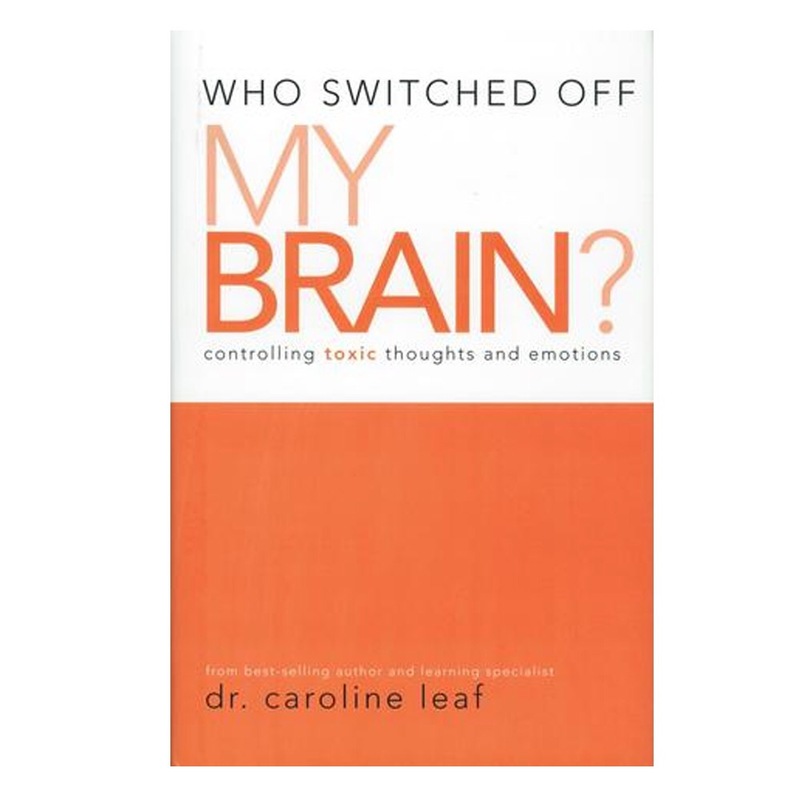 Our study is based on the book “Who Turned Off My Brain?” by Dr. Caroline Leaf. And in this week’s video lecture she touched on the stress that we put our children under and how the stress hormones affect their organs, their growth hormones, and their ability to cope with stress later in life. She focuses on the needs of kids and how they just need to be played with, loved on and made to feel safe and secure. So when we were asked to get in groups I paired up with a couple of ladies sitting nearby – both in very different seasons of life from me and from each other. One woman is a grandma and she spoke to our group about how hard it is to hear these things and look back and see all the things she had done wrong while raising her kids, all the ways she could’ve done better if only she would’ve known some of the information she is learning now. My eyes welled up with tears and I’m not quite sure if it was because I was so sad for her son to have to beg for her time, sad for her to not have the time or grateful to the point of tears that I get to be home with my twins. It was likely a combinaion of emotions. I believe that God makes us hear the things we need to hear. And I needed these ladies today. They gave me a perspective like never before. They helped me see that I am so blessed to be living my life’s purpose right now. I am playing with my babies daily, I am feeding them all of their meals, and I am surrounding them with love and security. Right now, they are my life’s purpose. They are the legacy we will leave behind. They are the disciples that will carry God’s love into the next generation. There is no better time than now for me to pouring into them as He intended me to. There are so many days that I feel guilty for not being able to contribute financially to my family, but today I felt so at peace with where we are. And in a world where so many want to ask, “when are you going back to work?” I am so satisfied to answer, “whenever it is time for me to go back”. God’s plan is higher than mine, and as long as He makes me feel like I’m right where I need to be… I’ll be here… where He needs me most.